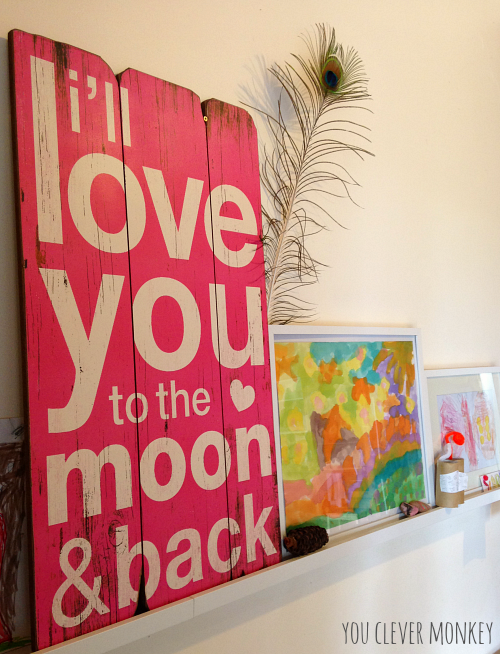 A couple of summers ago we took part in The Art Pantry's 30 Day Invitation to Create Challenge. You can see all of our invitations here and here. 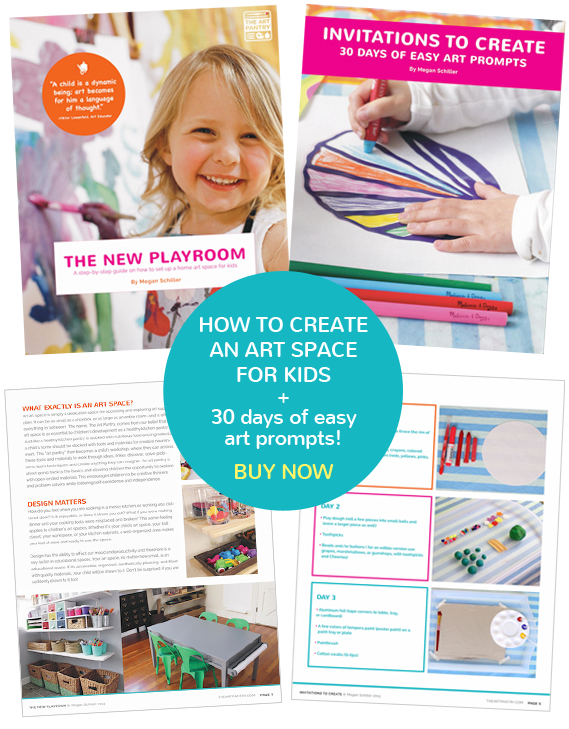 So it was much excitement that I saw that Megan from The Art Pantry was going to be sharing her tips for setting an art space for kids in a new ebook! 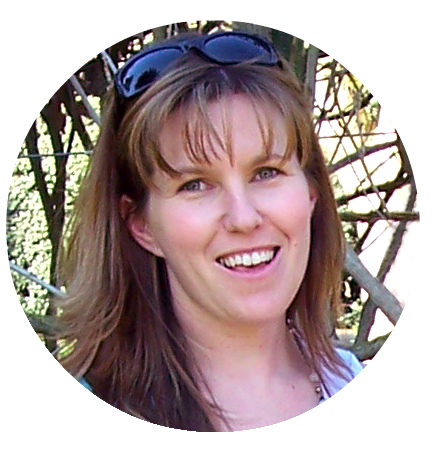 Megan, much like myself and many others, knew once we became parents that we wanted our children to grow up in an environment surrounded by art and creativity and with opportunities for them to easily experiment and create themselves with confidence. 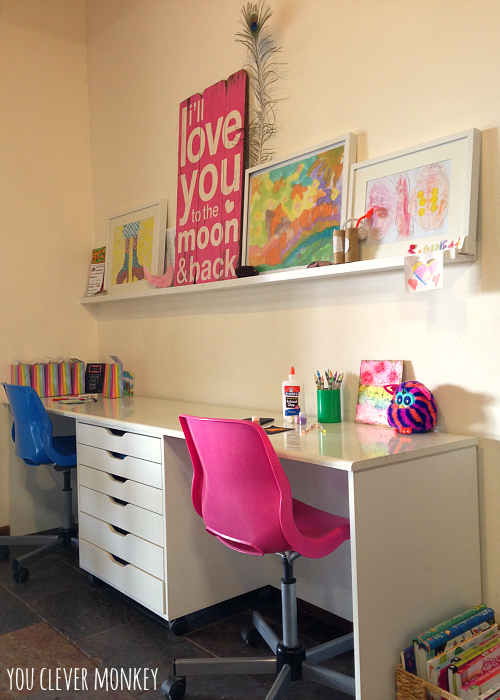 You can see from this enviable space, Megan knows her stuff. 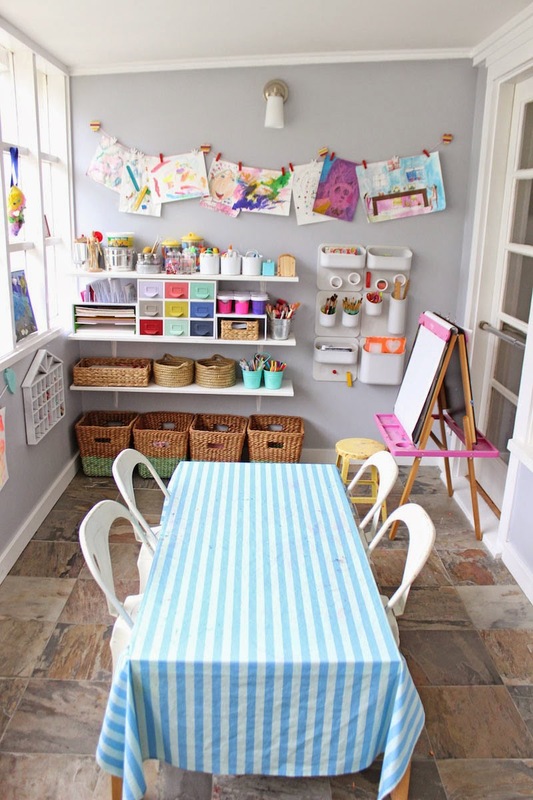 I have certainly tried to create this same sort of space at home for my own children and in the classroom but our art space at home was still not quite there. We had things everywhere - in drawers, under the kitchen sink, in cupboards, spread out across a few different spaces but after reading The New Playroom (PDF) I think it's getting closer. Take a look at it now! 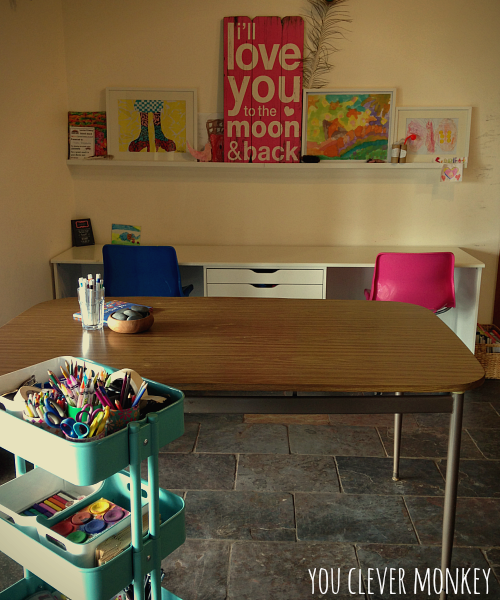 Our art space is in our kitchen as it's where we spend a lot of time before and after school. With slate floors and an old (ugly) table we inherited when we bought the house, I'm not too precious about anything here. We cleaned up the original desk space (and will clean the floor! ), added somewhere to display a few favourite artworks (I just bought some cheap frames from IKEA) and put a basket of our art books within easy reach. I repositioned the table so we could all sit or stand around it while we work. The trolley sits at one end near the window when not in use but the top tray can be reached from the table. 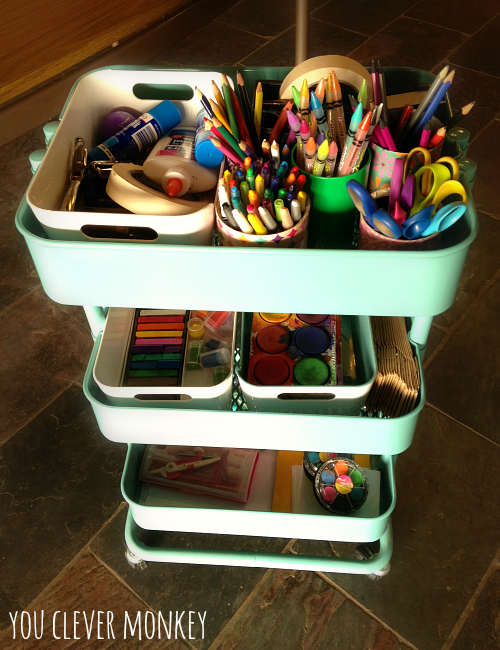 We had also purchased one of these trolleys from IKEA and have now filled it with some everyday items like coloured pencils, crayons, scissors, glues, tape, hole punches and stapler that previously sat on top of the desk. It's also currently home to some chalk pastels, palette paints, paper bags, coloured sand, pipe cleaners, a compass set, some coloured squares and white card. 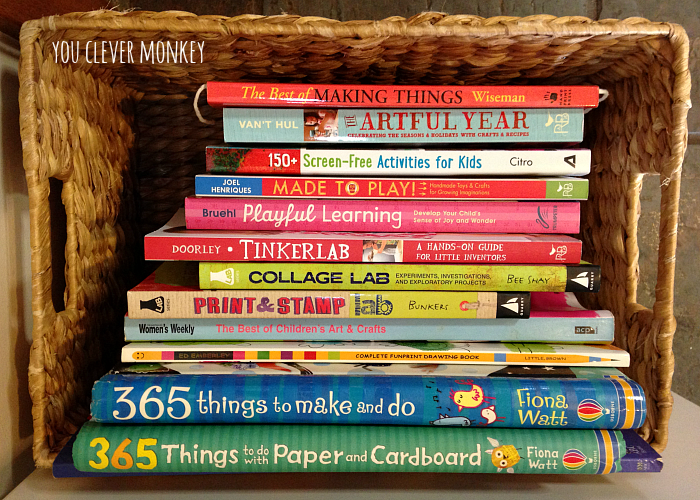 Following Megan's advice, I plan on swapping the items from the two bottom trays regularly to keep the kids engaged. The rest of our art/craft materials are stored in a large cupboard in our spare room out of the way. These are some of our favourite art books which are now right next to our art space. 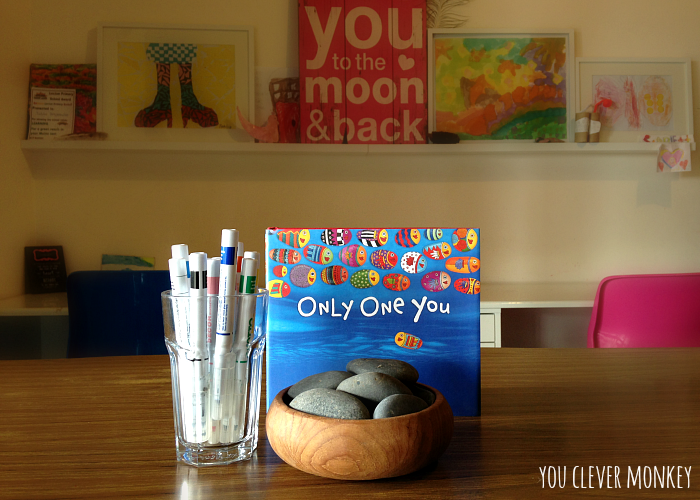 Today's book-based invitation to create! Feeling inspired? Not sure where to start? 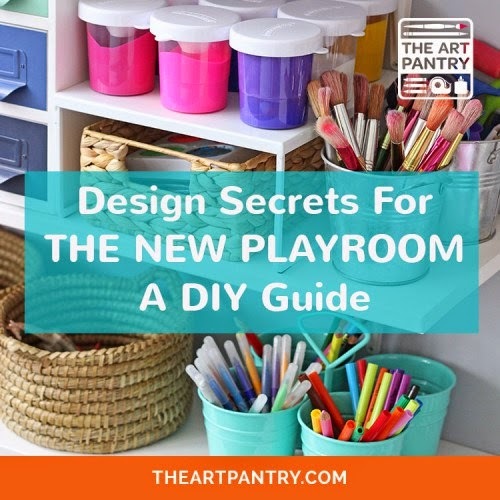 Grab your copy of the book here: The New Playroom (affiliate) and, for a short while, receive The Art Pantry's Invitations to Create for free! 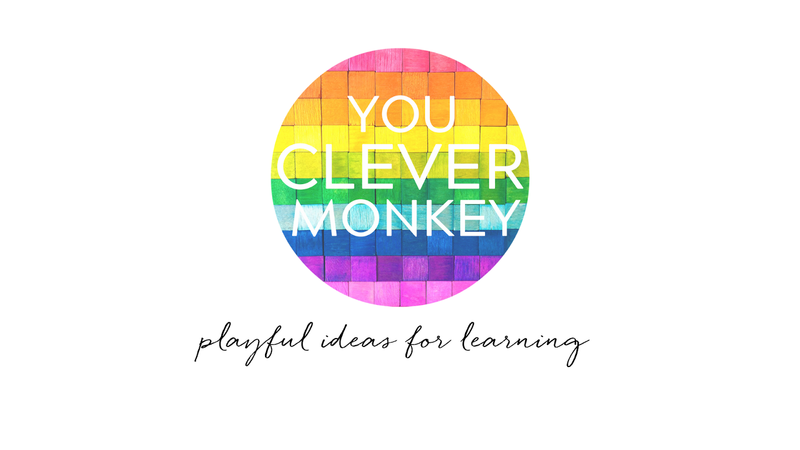 tips on measuring, layout, organising and more!